Procreate 2.1 is finally here and I can post what I worked on during the beta stage of "fire"! I always wanted to do a portrait of Sigourney Weaver, especially after the one I did of John Hurt last year in what will hopefully become a series of portraits of my favorite actors. 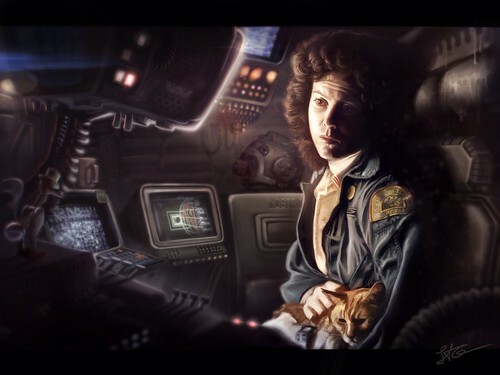 I am also super psyched about the new "Alien Isolation" game coming out this october where Sigourney actually reprises her role as Ripley, 35 years later!! !